Expand search to view more listings in and around Laguna Hills. See more offices in and around Laguna Hills. To help you find the ideal location for your Laguna Hills office, the Offices.net site allows you to quickly find and get the vital details about each one quickly and easily. We have an extensive range of locations available, most with flexible rental terms that can be altered to suit your needs. Our flexible offices provide an ideal solution to working in Laguna Hills, and in many cases also offer the option of increasing or reducing the amount of space rented at short notice. This type of flexibility may be ideal for start-ups and companies that have the potential to grow fast, as well as for those that are downsizing. Most of the business centers that we feature offer offices that are fully furnished and equipped, making setting up a very fast process. Some of the serviced offices can be configured to meet the particular needs of your company. Some office providers will tailor the space for you and even give you the freedom to decorate to give you more control over your work area and brand image. Simply choose any of the Laguna Hills offices for rent listed on this page. 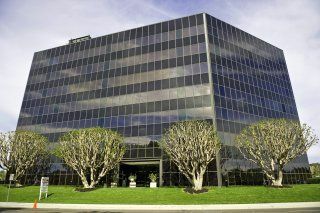 All of the offices space and executive office suites are available on temporary rental terms to suit your requirements and are located in prime Laguna Hills business positions. Haven't got time to search? Just get in touch using the number or form above and we'll be more than happy to recommend some options in and around Laguna Hills. All we need to know are your essentials; the number of desks you need, your ideal locations and your budget.